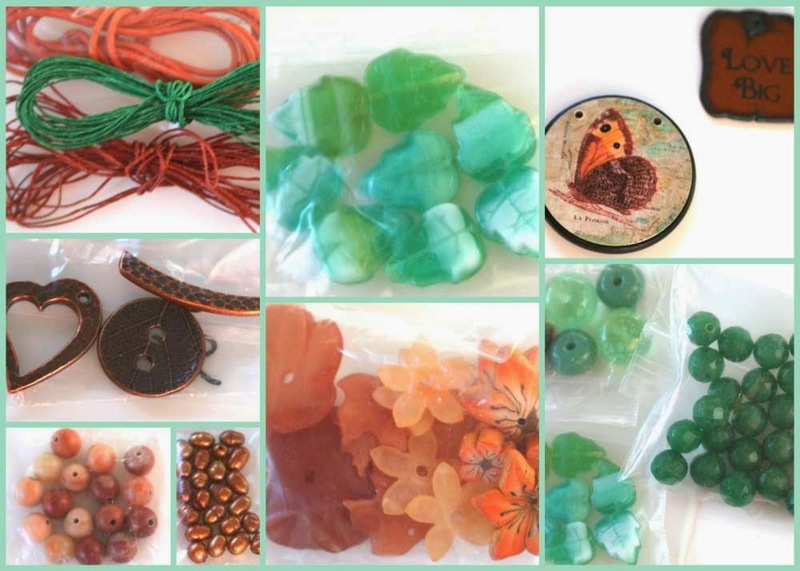 All the Pretty Things: Bead Soup BP#8 - My soup ingredients are here! She's quickly becoming one of my favourite people too! Isn't that a perfect soup? Thanks! I think we are going to have fun with ours soups! It has been wonderful finding a kindred spirit! The polymer clay flowers are from too aquarius, Elaine Robataille from Saskatchewan. Lovely soup! Rust and green are a wonderful combination, looking forward to the reveal! Alicia your soup is yummy looking. Lucky you. I will be back to see what lovely creation you make.